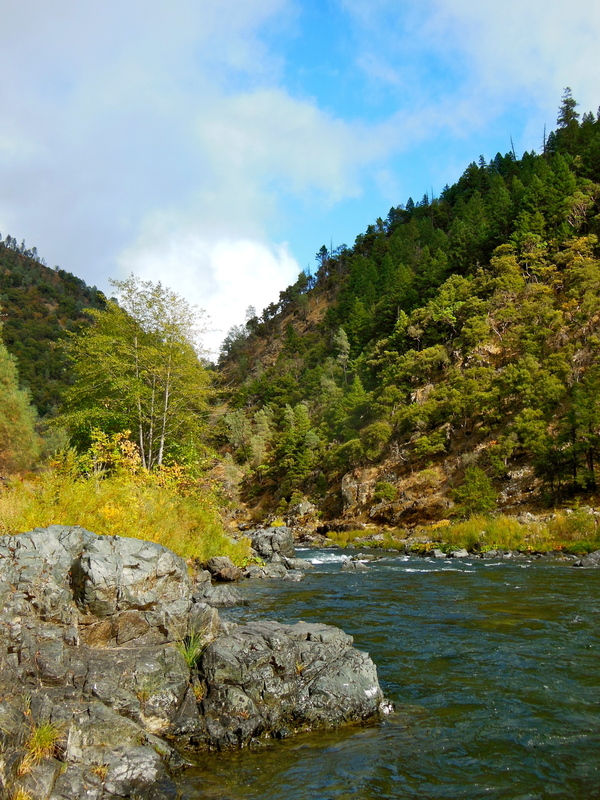 Trickles from high in the Klamath/Siskiyous cascading torrents through untraveled canyons and gorges that only the brave of heart descend, the main, north and south forks make up what is known as California's Trinity River. Though dammed high on the main stem, the Trinity remains wild and rugged through most of it's length until its confluence with the mighty Klamath River. Many tributaries make up the Trinity and provide wild steelhead refuges. The Trinity runs clear, gin-clear, through a myriad of water-types and terrain. Seemingly every break in the river offers a beautiful steelhead run below. Working a muddler through the impatient boulder gardens at the head to the looking glass of the tailout... anticipation. As the short nights of summer get longer and days cooler, autumn sets in and the steelhead of the Trinity begin their ascent. With typical long California Indian summers, the floating line fishing can be outstanding late into the season. Trinity steelhead are eager, full-sized adults. These aren't your grandpa's half-pounders of the Klamath.